I made my Oscar predictions too soon. One week before the big show. At that point, eight days gone now, I was still under the impression that Richard Linklater's "Boyhood" was gonna take the big Best Picture prize and lose everywhere else but Supporting Actress, which was a lock. I ended up doing just okay with my predictions and still won the ballot at my particular Oscar party. I landed only 16 out of 24 categories. Of course, my biggest miss being that Best Picture win for Alejandro G. Iñárritu's "Birdman." I don't care. I'm glad it won. Before I get to the good, here are some of biggest let downs for me, as far as the losers are concerned. 1. I don't like that Eddie Redmayne won Best Actor. It's a great performance that took an immense amount of talent and hard work to pull off. How much cooler would it have been, though, if Michael Keaton had taken this thing!!? Also, I would've been good with Bradley Cooper, an actor some don't care for but I downright love. His work in "American Sniper" is incredible, and I will defend it to the end. Also, I'm still a bit bitter that Ralph Fiennes wasn't nominated for "The Grand Budapest Hotel." Upon second viewing a couple weeks ago, I realized just how unreal great that performance is. 2. I don't like that Wes Anderson lost for Best Original Screenplay and, honestly, Directing as well. Sure, "Birdman" is, in much different ways, as original and interesting and ballsy. I just take issue with a movie winning awards for Original Score, Production Design, Costume Design, and Makeup and Hairstyling and then receiving no recognition for the genius who drove the ideas that these winners made a reality. I'm not an Oscar expert. But this year's awards seemed oddly lopsided in smaller awards (clearly owned by "Grand Budapest") vs. the biggest awards minus acting (clearly owned by "Birdman"). 3. 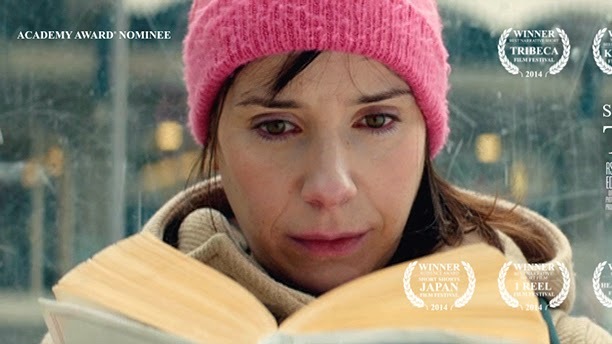 The short film "The Phone Call." Sorry. It's just far from the best of those nominees. It's well-made. It's well-written. It's well-acted. No doubt. But it is decidedly unfair to award a short film just because it's the only one with big names. 4. Also, there was clearly a shortage of winning actors thanking the other actors nominated with them. I don't really know why. 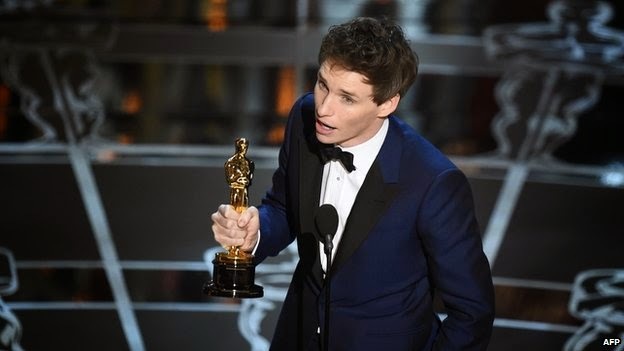 But I like when the winner does that, and Eddie Redmayne should've showed his appreciation to all the talent he was up against. 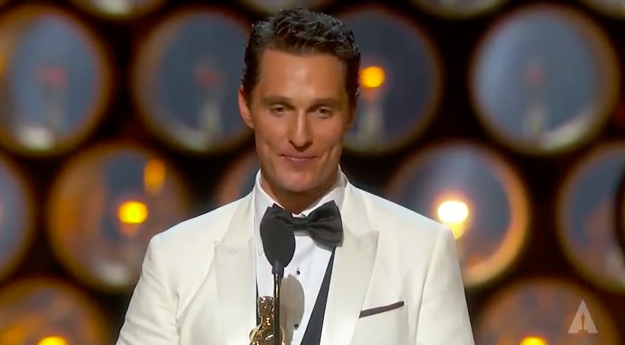 McConaughey did a great job with this last year. A very great job! It's pretty much the first thing he said. I'm totally fine with this, especially in light of the fact that "Boyhood," while a moving story that I did enjoy watching for the most part, has been way overpraised. Oddly enough and despite that overpraise, I still sort of wanted Linklater to get something for making this movie. I guess he'll have to live with the knowledge that he was at least nominated and led Patricia Arquette to an Oscar. I find it absolutely amazing that the first thing I read this morning when I woke up was a link someone posted to Facebook. It's from Dan Kois at "Slate." The headline "The Academy's failure to recognize 'Boyhood' is Their Worst Mistake in 20 Years." You have to be kidding me! He goes on and on about this being a "epochal travesty," and comparing its loss to movies like "Citizen Kane," "The Graduate," and "Apocalypse Now." Here's the thing: time has made those movies great. I can't see time being that good to "Boyhood." For a movie about time, it will not remain timeless in my mind. And I feel that is evident from most of the standard movie fans and other bloggers I've conversed with on the subject. I'm totally fine with this as well. 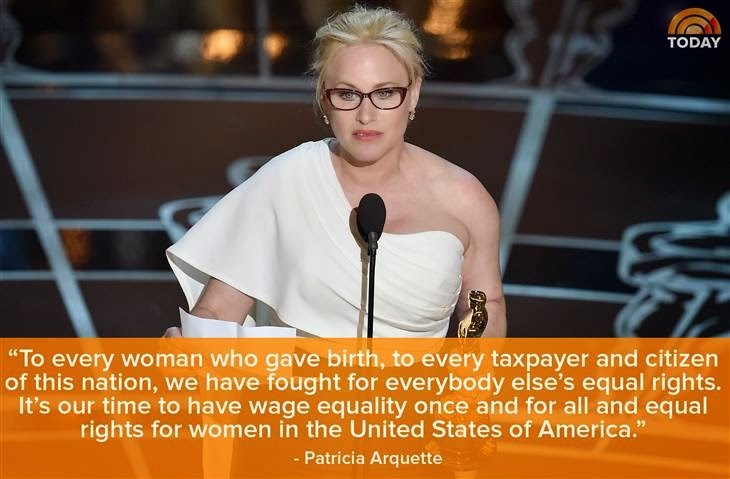 I preferred Emma Stone and Laura Dern, but this was the beautifully real Patricia Arquette's day and that's just as well...Because, she went up there, knowing she was gonna win, and read off a rapid fire speech that was just badass. When she went into that tirade about equal pay for women, my Mom had the exact same reaction as Meryl Streep. She did a Streep-esque acceptance speech that will be remembered. I loved it! So, good for you, Patty. I hope to see more of you in future years with that "Academy Award Winner" title next to your name. He's not wrong about that. 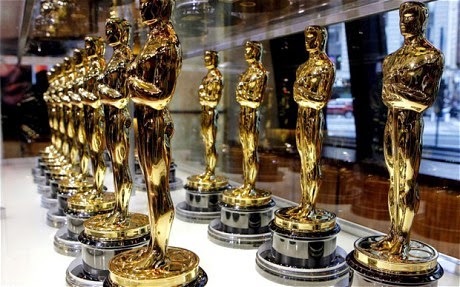 This year it seems that The Oscars just said, "Screw it! Let's start at 8:30 EST and run this thing as long as we want!" However, I was blown away by Lady Gaga's tribute to Julie Andrews and "The Sound of Music" (Best Picture, 1965). I honestly had no idea she was such an incredibly talented singer. She killed it! 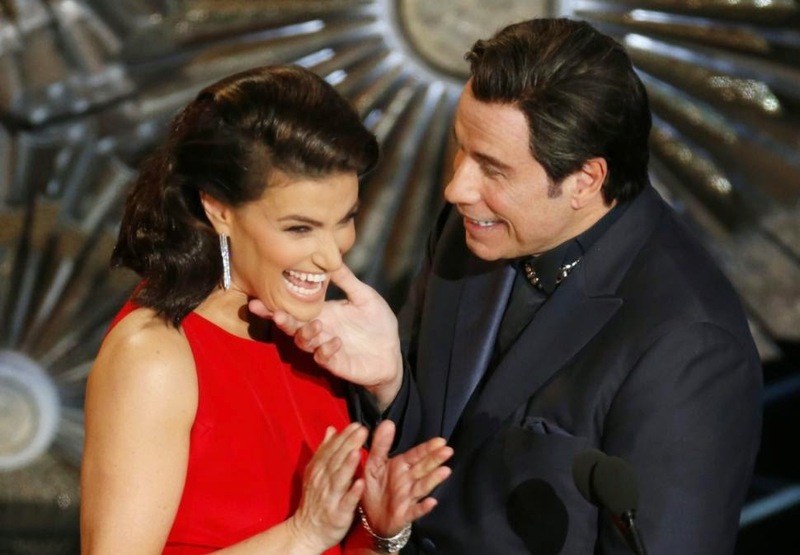 The John Travolta/Idina Menzel bit was one of the greatest Oscar presentations of all-time. I loved every second of it. 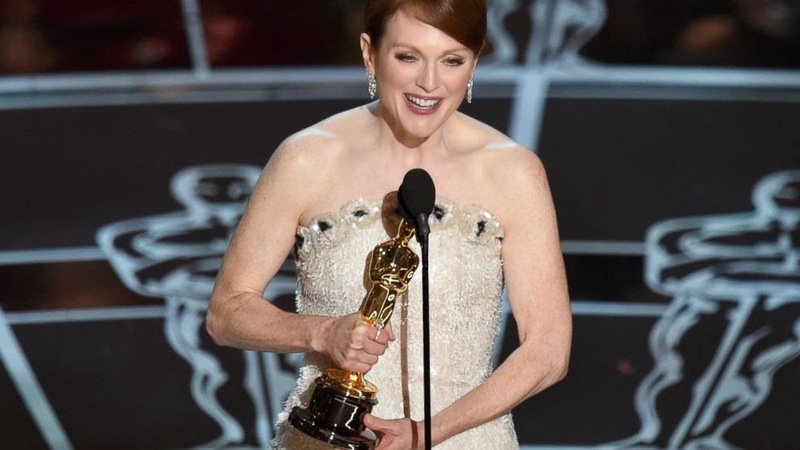 I love that Julianne Moore has an Oscar, even if it is for a movie that seems to be so decidedly mediocre. As far as lifetime achievement Oscar I'm sorries, this one is good. I liked Reese Witherspoon the best and Rosamund Pike really probably did deliver the best and most memorable performance of the year, maybe of the decade so far, but I can't complain. I love Julianne Moore! So, these dudes perform the song "Glory" from the "Selma," bring the house down, make pretty much everybody in the audience, most notably Chris Pine, sob like babies. Then, when they collect their statues, you see two men who truly love that they just won an Oscar. They delivered a duo of acceptance speeches that were humble and important and honestly beautiful. For that alone, they deserved this prize. The 87th Academy Awards telecast seriously made "Whiplash" look like the true best movie of the year. 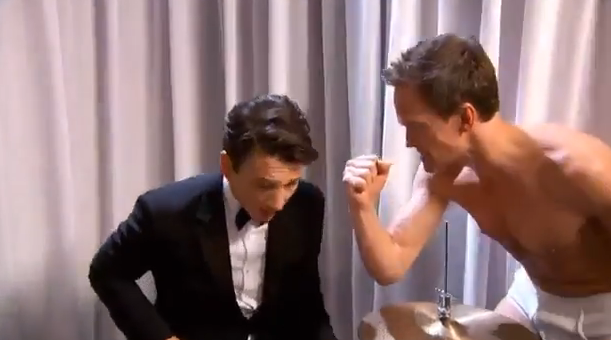 Every clip they showed, every mention, the Miles Teller doing the-backstage-"Birdman"-drumming-with-tighty-whitey-wearing-NPH-running-around-bit, everything just made me really love that movie even more. The fact that such a small, personal film made such a wave in the big leagues is purely lovable to me. I'm so happy for J.K. Simmons, who also delivered one of the better acceptance speeches ("Call your parents. Don't text."). Thank you, Academy, for continuing to make Oscar night so great. Oh, and, I would also like to thank my beautiful wife for adding this (see picture below) to the spread at our Third Annual Powers Homestead Oscar Party Extravaganza. I want to be part of your Oscar pool...I would have won!!! Love this idea for a post Oscar post, buddy. As much as I hated Harris last night, the ceremony had a lot of ups, and overall the winners were pretty great. Grand Budapest slayed with the techs, as it should have, and I'm so happy with every Birdman win! That post you linked, about Boyhood being remembered alongside films like Citizen Kane and Apocalypse now is HILARIOUS because the films that beat those films were 'How Green is My Valley' and 'Kramer vs. Kramer', two very traditionally conventional Oscar films...kind of like BOYHOOD! Citizen Kane and Apocalypse Now are seen as innovative and visionary cinematic experiences, like Birdman...so it looks like Oscar got this one right!!! Haha! Yeah. I sucked it up. Too many gut picks. Thanks. The ceremony itself was beautiful and well-produced, as you mentioned in your post. 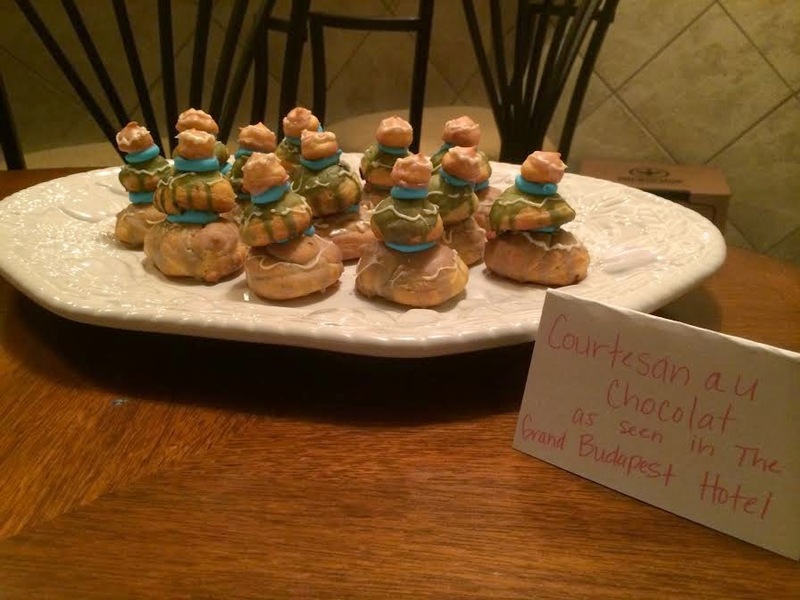 I'm glad Grand Budapest picked up what it did, especially Original Score. I didn't see that one coming. That Boyhood article is ridiculous. It took much more sack for the Academy voters to go Birdman. Much more. Thanks, Cathy. I appreciate the support. Good luck with the snow. We got another two inches overnight. Haven't been to work in a week and a half. I'm so happy for J.K. Simmons. He's awesome in everything he's in. Everything. And NPH's Farmer's joke following JKS's win was one of his best of the night. I've seen him host other shows and liked him, but he was off his game on Sunday. Really uneven effort from him. Alex's tweet is perfect. I'm a big fan of Common as a rapper. Very happy for him. And yes, Rosamund Pike did. So true. Glad JK could pick this one up. He has been an amazing presence on the screen for many years. NPH was not horrible, but you're right, he seemed off his game. Common and Legend nearly broke my heart, man. Great, humble people and talented musicians both. In a perfect world, Pike wins easily. I am so glad films like The a Grand Budapest Hotel, Birdman, and Whiplash got some love! 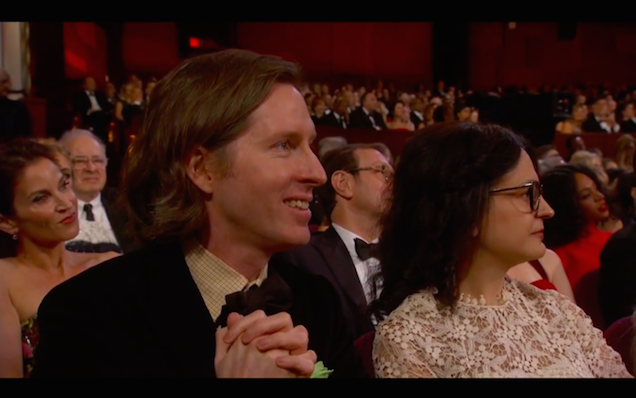 I wish it had been more for Wes Anderson, but I think he will get his day. 1) Jennifer Lawrence ... I missed her and her beautiful face, hair, gorgeous style, etc! Damn you David O. Russell, stop freakin' hogging her! 2) no one was dressed bad, except spider balls. You know, no one where I said, "what the hell are you wearing?" I missed Jen as well. But, honestly, this year Zoe Saldana sort of took her place as hottest woman on the red carpet, so... Still not as beautiful as you though. Wes will win it eventually. He already has 3 nods for writing. That won't be the end.